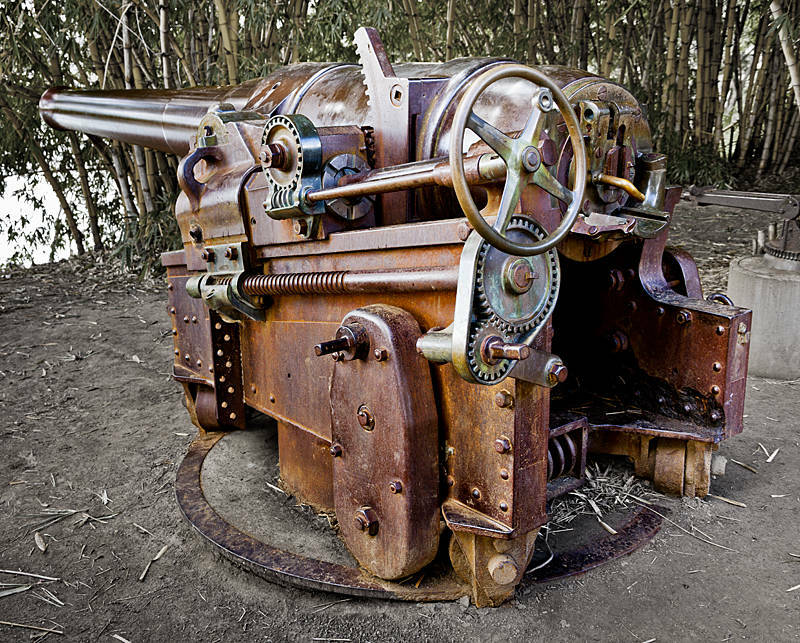 These are the colonial guns of Bundaberg. They date back to the 1880′s when Queensland was responsible for its own defence in the days before Australian Federation. After serving on gunboats they were moved to Alexandra Park where they have been for 100 years. Despite this, the council plans to move them in the wake of the 2010/2011 floods. I grew up in the UK where the rivers are tamed so it was hard to believe a rising water level could affect such a large chunk of metal. However, after taking this picture, I have seen roads, buildings and entire hillsides washed away after the 2017 floods, so when it comes to an immovable object and an unstoppable force of nature, my money is on the water to win. Another for the Mechanography collection. Do you know the calibre? Yes definitely Mechanography. I think this is a 6-inch 80-pounder.